Move-in Ready! 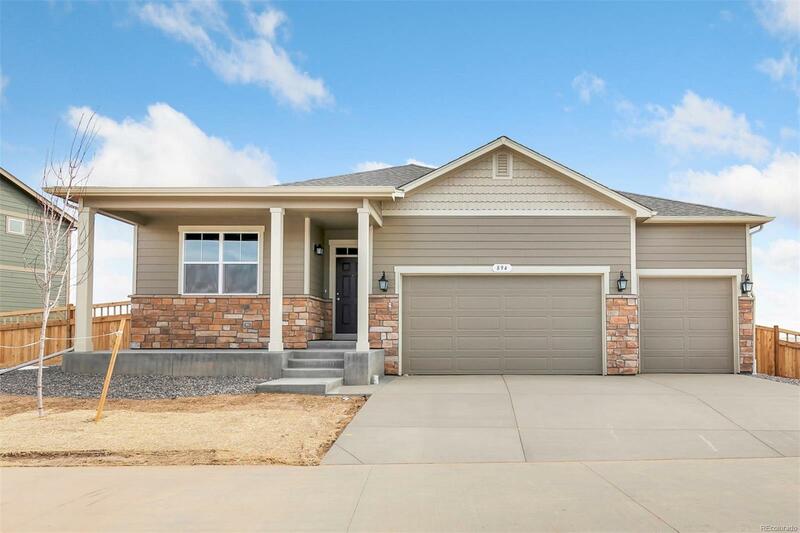 New home with builder warranty! Beautiful 4 bedroom ranch plan with lots of space, open concept kitchen and great room layout. Kitchen comes with stainless steel appliances. Home comes with 3 car garage and full landscape completed for you. Brighton Crossing includes two private pools, two community recreation centers, several parks and close to lots of shopping. Easy access to I-76 for Denver commuters and only 22 minutes to DIA.